A Philadelphia Fusion DPS and a Los Angeles Valiant support are the outliers. South Korea’s Overwatch World Cup committee has narrowed down its 12-player roster to seven. The two-time reigning championships are looking scarier than ever—with a core base of New York Excelsior players, the Overwatch World Cup team is primed for dominance. 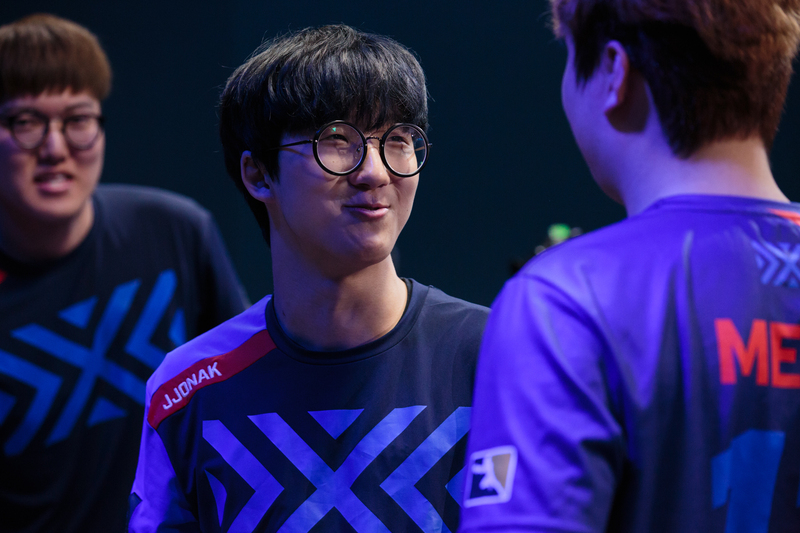 For damage, South Korea chose NYXL’s Park “Saebyeolbe” Jong-ryeol and Kim “Libero” Hae-seong and Philadelphia Fusion’s Lee “Carpe” Jae-hyeok. On tank, South Korea selected Los Angeles Valiant’s Koo “Fate” Pan-seung and NYXL’s Kim “MekO” Tae-hong. NYXL’s support duo Bang “JJoNak” Seong-hyun and Hong “ArK” Yeon-jun round out the squad. The seven players were confirmed on Twitter on July 6. “The seven-person roster to compete in the annual Overwatch World Cup group stage in Incheon has been confirmed,” Team South Korea wrote on Twitter. Overwatch World Cup’s group stage in Incheon, South Korea is scheduled for Aug. 17 to 19 at Studio Paradise. South Korea will face Russia, Japan, Finland, Taiwan, and Hong Kong. Only two teams can move out of groups—with a stacked roster like this, South Korea is nearly guaranteed to make it to the main event at BlizzCon in November. NYXL is the Overwatch League’s top team, with a considerable lead over the next closest rosters. With a core group from the Overwatch League rosters pulling together the South Korean Overwatch World Cup team, the country is staking its claim on the World Cup championship for the third year in a row.